Pagan Sphinx hosts this new meme, Think Green Thursday. 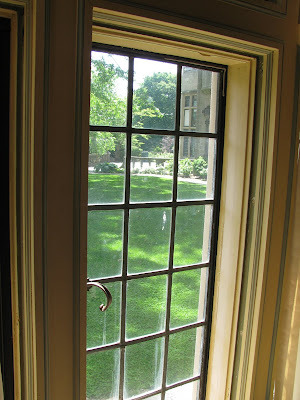 Serving as a quiet oasis for rest and contemplation, as well as a site for educational, cultural, and horticultural activities, the more than 400 acres of Planting Fields' cultivated gardens, rolling lawns and natural woodlands provide a unique and valuable resource for its community and for visitors from New York City and other areas. 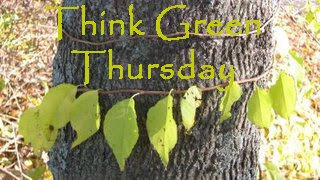 Go visit Think Green Thursday for other participants. Sounds like a wonderful new meme. Oh dear - so many memes, so little time! Sure looks like lush green grass on the other side of the door! Mary are you still doing the window view meme? and what day is it? Wonderful shot. I like it through the window. I pass by the turn off to the arboretum in Seattle every day on my way to work. I keep saying we have to go. That should be an upcoming Friday Feets for me.